This is an amazingly cool thing in Wisconsin: the World’s Largest Experimental Aircraft Fly-In – aka EAA AirVenture – is underway in Oshkosh! Check out all types of planes, from experimental aircraft to military jets and more – they’re flying in and out of Wittman Regional Airport for seven straight days of aerobatics, history, music, camaraderie, and plenty more. 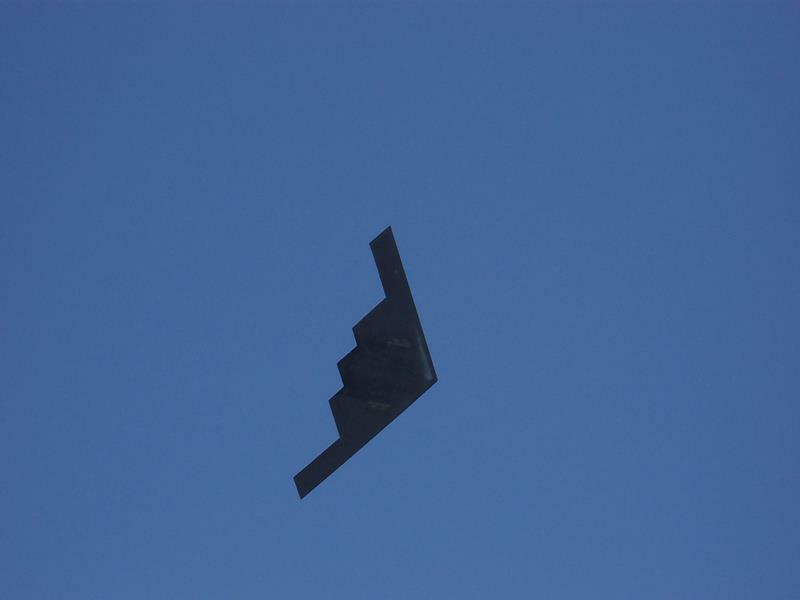 Check out current military aircraft like the B-1B, C-5M, C-17, A-10, E-4B, E/A-18G, KC-135R, KC-10, B-52, F-35, F-22 Raptor, HC-130N, and many more. 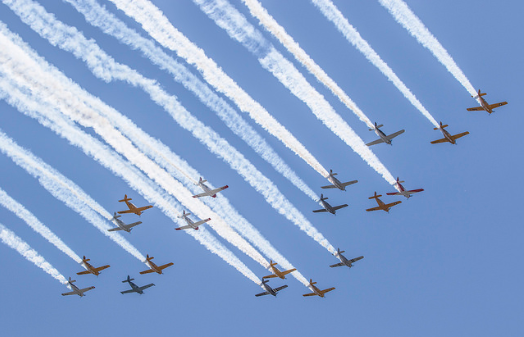 An incredible array of air shows will showcase some of the world’s best acrobatic pilots over one of the most aviation-savvy crowds on the planet at EAA AirVenture. Shows will take place Monday 7/23 – Sunday 7/29 at 2:30 pm through 6 pm; Sunday the 29th will also feature air shows from 1 pm to 4:30 pm. Night air shows will take place Wednesday 7/25 and Saturday 7/28 during the hours of 8 pm – 10 pm. Enjoy precision aerobatics, rare and unique flying examples, and history through warbird and vintage showcases. The night shows will feature over 100 illuminated drones, lighting up the skies over Oshkosh, EAA AirVenture, and Lake Winnebago! The Royal Air Force is celebrating their 100th anniversary, and a variety of their aircraft will be arriving and on display at various times, including the Argus III, Curtiss P-40, deHavilland Mosquito, Gloster Meteor, Sopwith Pop, and more! Get a ride in a B-17 Aluminum Overcast, an old-school Ford Tri-Motor, or a Bell 47 Helicopter. Check out the American Barnstormers Tour, which will feature the largest gathering of Travel Air biplanes in the modern day. This is the culmination of a tour of barnstormers that began in Jefferson City, Missouri, back on July 5th and continued through a number of stops including Eau Claire before the trip to Oshkosh for EAA AirVenture. See the show, take a ride, and more. The Airbus Fly-In Theater is like a drive-in, but you fly-in! From the comfort of your lawn chair or blanket, enjoy Hollywood classics illuminating from a five-story-high projection screen, with free popcorn. Show begin around 8:30 pm (9:30 pm on Wednesday and Saturday) with an introduction by a presenter, followed by a classic film – weather permitting, of course. There’s also skydiving, the Lindbergh Innovation Forum, World War I Centennial Activities, the Spirit of Aviation Mobile Experience, KidVenture, the Seaplane Base on Lake Winnebago, even the One Week Wonder, where a complete airplane is built over the seven-day period of EAA AirVenture! You can get to Wittman Regional Airport and the site of EAA AirVenture via I-41, right between Highways 26, 44, and 91 along the western outskirts of Oshkosh. 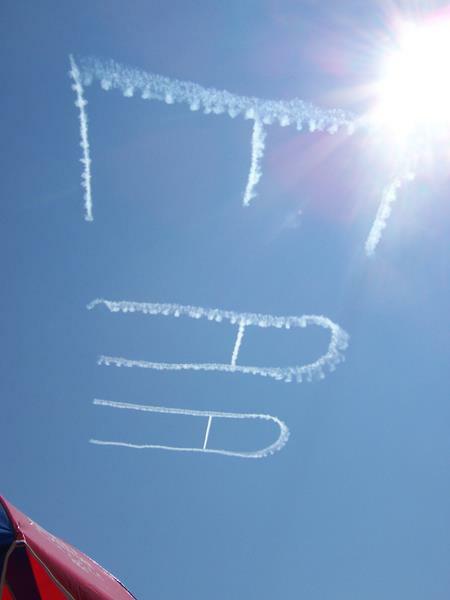 The skies will be plenty busy above you!